Enjoy the night with champagne and fireworks because at midnight we welcome in the new year! You can check out the festivities with new Mayor John Tory at Toronto City Hall with food trucks, a local DJ Mel Boogie, skating and spectacular fireworks from Circus Orange at the stroke of 12. 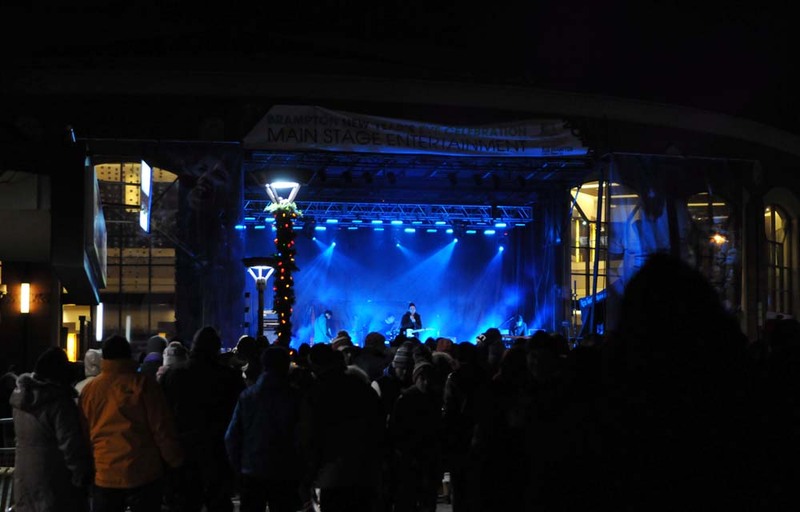 Nathan Phillips Square located at 100 Queen Street West will be rocking starting at 8 pm on Wednesday, December 31. "I am excited to join Torontonians of all ages as we usher in the new year in Nathan Phillips Square," said Mayor John Tory. "This long-standing tradition has become customary, and the City of Toronto is thrilled to provide a memorable experience for citizens and visitors. I look forward to counting down the seconds with you as we welcome in 2015!" 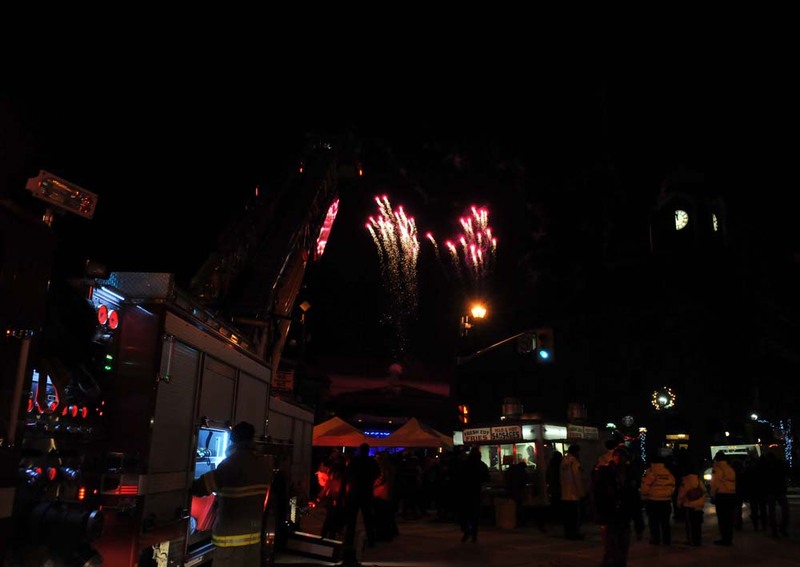 In the Greater Toronto Area many municipalities will host New Years Eve events, including the City of Brampton, and next day meetings with the Mayors during annual Mayor Levees. 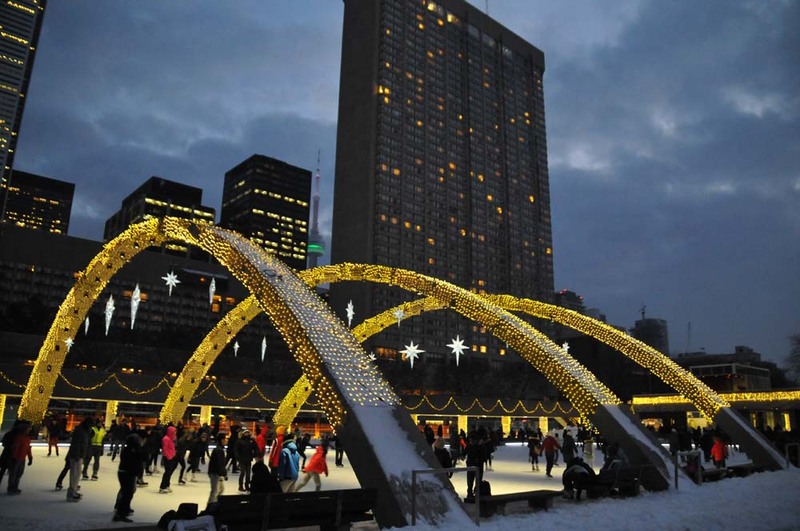 More of Toronto events and attractions over the holidays after the break. 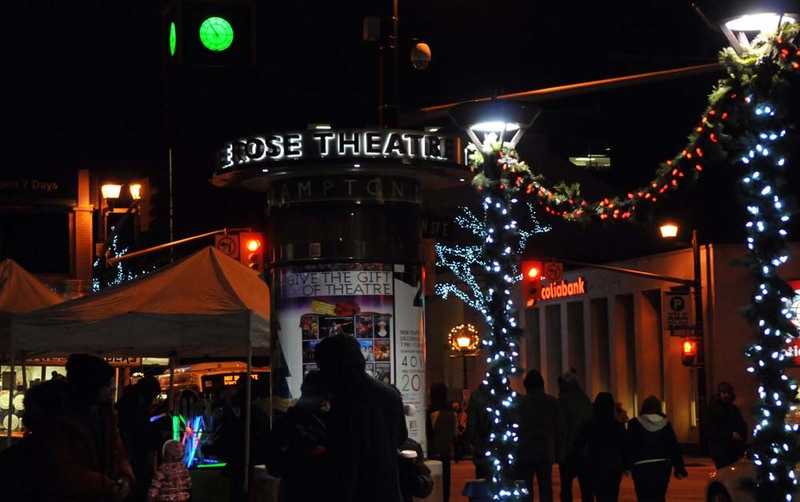 The City of Toronto invites residents and visitors to take advantage of the City's many activities, programs and attractions available during the holidays. Holiday schedules for recreation facilities: Holiday hours for outdoor rinks, indoor skating, ski, snowboard and swim programs will be in effect from December 24 to January 1. More information is available at http://www.toronto.ca/parks. Skating: The City of Toronto provides a variety of free leisure skate programs for all ages and abilities at indoor arenas and outdoor rinks. On December 25, indoor arenas will be closed and outdoor rinks unsupervised for use at your own risk. Schedules vary by location. More information is available at http://www.toronto.ca/skate. Swimming: A variety of leisure swim programs at pools throughout the city make it easy to make a splash this holiday season. Schedules vary by location and are available at http://www.toronto.ca/swim. Riverdale Farm: Residents can visit the cows, sheep, goats, ducks, rabbits and farm cats. The farm is open daily from 9 a.m. to 5 p.m.More information is available at http://www.toronto.ca/parks/featured-parks or by calling 416-392-6794. High Park Zoo: The High Park Zoo is home to domestic and exotic animals including bison, llamas, peacocks, reindeer, highland cattle and yaks, and is open daily from dawn to dusk. Admission to the zoo is free. More information is available at http://www.toronto.ca/parks/zoo/. Playground Paradise: Located at Flemingdon Park Community Centre, Playground Paradise offers family fun for children ages 12 years and younger. Kids can play on a two-storey play structure, go down the spiral slide, swing on the track ride, climb the cargo elevator, talk to friends through the talk tube and play in a ball pit with more than 8,000 balls. The daily rate is $2.50 a child. Holiday hours are available athttp://bit.ly/1aZjJ4T or by calling 416-395-6014. The regular schedule resumes on Saturday, January 3. 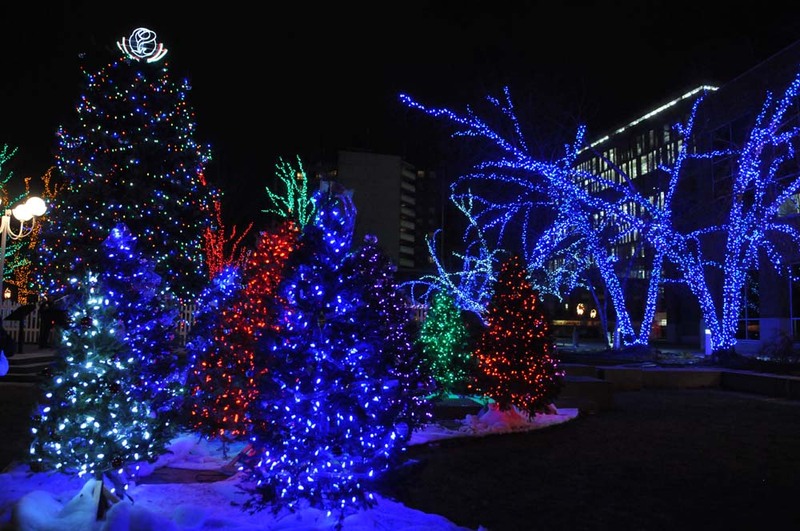 Christmas flower shows at Allan Gardens and Centennial Park: The two Christmas flower shows at City conservatories are a tradition during the holiday season. The flower shows are open daily from 10 a.m. to 5 p.m. until January 12. Hours will be extended until 7 p.m. on December 27 and 28 to allow visitors to view the blooms by candlelight. Admission to both conservatories is free. Donations to the Daily Bread Food Bank are welcome. More information is available at http://www.toronto.ca/parks/conservatories/. Walk Toronto's trails: The Shared Path, the newest of the City of Toronto's Discovery Walks, includes 15 kilometres of trails through a series of park areas along the banks of the Humber River. The Discovery Walks program is a series of 10 self-guided walks linking ravines, parks and neighbourhoods to showcase Toronto's outstanding natural features and cultural and historical attractions. More information and downloadable maps are available at http://www.toronto.ca/parks/trails/discover.htm. Holiday hours and schedule for community centres: December 24 and 31: Community recreation centres close at 4 p.m. except those with previously scheduled permits. December 25 and 26: Community recreation centres are closed. January 1: Community recreation centres are closed. City staff at community recreation centres can also provide their centre's holiday schedules. Some centres may be closed for annual maintenance. More information and program schedules are available at http://www.toronto.ca/parks or by calling 311. 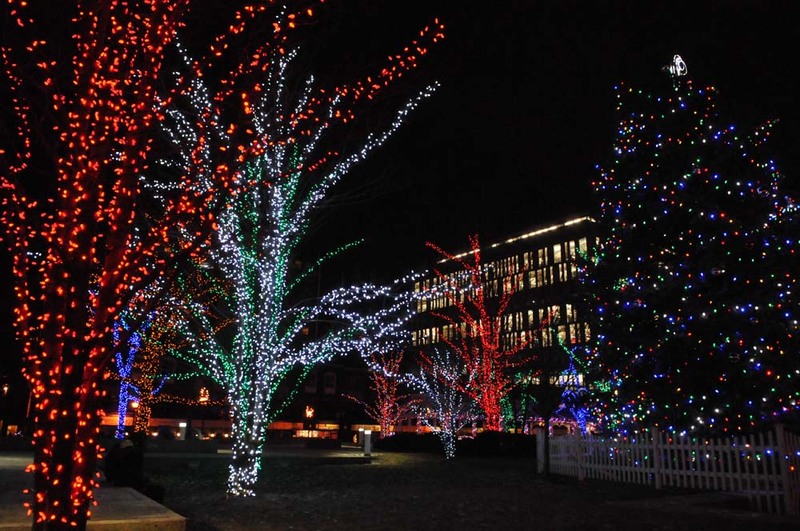 Until January 4, eight of the City's historic sites are offering numerous holiday-themed events and tours for families and adults. 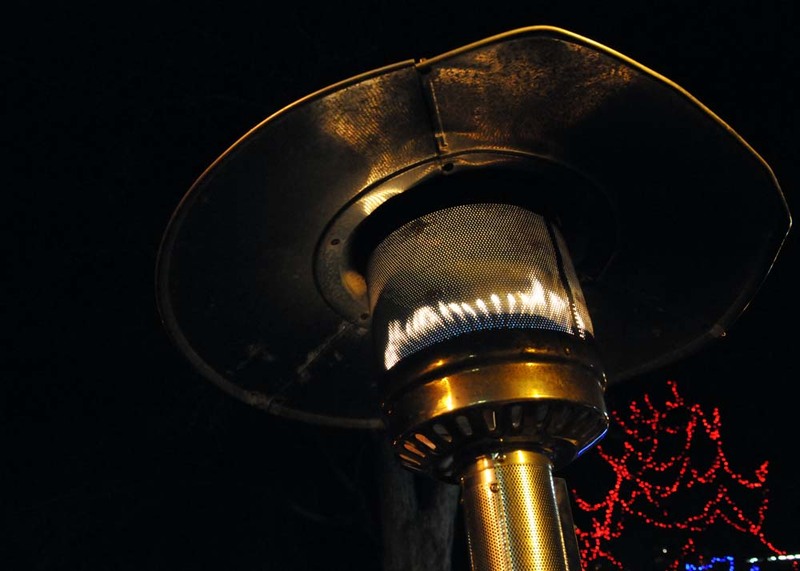 Most of the City's historic sites are open daily (except Mondays) and on Christmas Day, Boxing Day and New Years Day. Programming highlights for individual locations are listed below. Time and participant age details for activities will vary by day and by location. More information is available at http://www.toronto.ca/holidays. Colborne Lodge (11 Colborne Lodge Dr., High Park): Visitors will experience the sights and smells of a Victorian Christmas and can toast the season with hot mulled cider by the wood stove. Fort York National Historic Site (250 Fort York Blvd. ): Visitors can sample baking from the 1826 Officers' Mess kitchen and soak up the warmth of a crackling wood fire. From December 27 to 31, children can join the cooks in the kitchen to create traditional gingerbread cookies using period utensils and tools. Gibson House Museum (5172 Yonge St.): On December 22 and 23, children can spend a fun-filled day baking treats in the historic kitchen, making seasonal crafts, playing games and meeting new friends. Pre-registration required. On December 29 and 30, visitors can enjoy a scrumptious dinner in the ambiance of the 1850s dining room and take an imagined journey, through story and drama to a New Year of another time. Pre-registration and pre-payment required. Mackenzie House (82 Bond St.): Discover the story of how families celebrated Christmas in 19th-century Toronto. Until December 24, children are invited to write a letter to Santa Claus during their visit. From December 27 to January 4, children can enjoy time printing in the re-created print shop and participate in a historically-based seasonal activity. On December 29, visitors can enjoy an evening of Scottish music and foods at this traditional Scottish celebration of the New Year. Musicians Gin Lane will perform. Pre-registration and pre-payment required. Montgomery’s Inn (4709 Dundas St. W.): On December 17, the weekly Wednesday afternoon indoor farmer's market will host a Christmas Fair featuring additional vendors who will sell crafts, special foods and gifts. On December 20, Toronto Island trio Kith & Kin will feature medieval carols, rousing singalongs and seasonal music from Appalachia, the British Isles and the shape-note tradition. Scarborough Museum (1007 Brimley Rd. 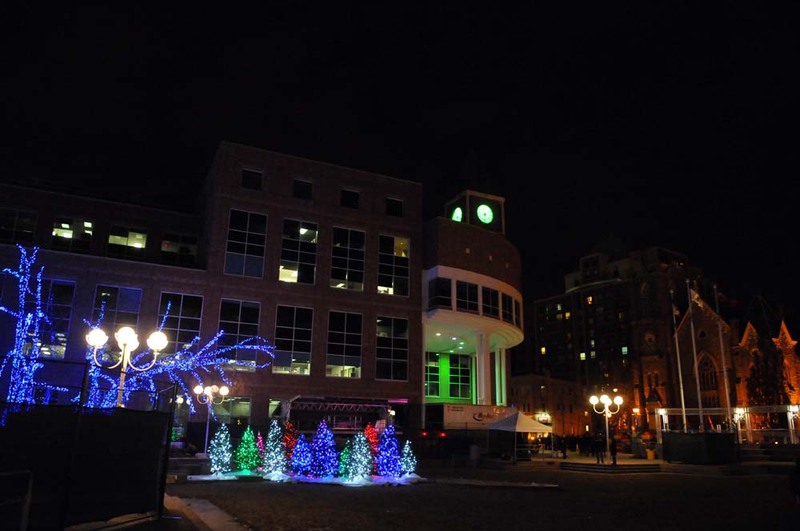 ): Weekend visitors can sample hot chocolate and baked holiday goodies. On December 22 and 23, December 29 to 31 and on January 2, the museum offers holiday camps where children ages five to 12 can make 19th-century toys, cook over the open hearth, play games and enjoy lots of outdoor fun. Pre-registration is required. Spadina Museum (285 Spadina Rd. ): Holly wreaths, evergreen garlands and mistletoe adorn the house based on the memories of the Austin family grandchildren. In the re-created 1930s kitchen, visitors can enjoy holiday treats made from period recipes and sip mulled cider warmed on the art deco gas range. Todmorden Mills Heritage Site (67 Pottery Rd. ): Visitors can experience two different eras of Christmas through traditions of the 1890s and the 1940s. The public can sample historic recipes, create a take-home craft and join staff for an outdoor tour of the Wildflower Preserve. Toronto Early Learning and Child Care Centres, along with District Offices, will remain open during regular business hours and will be closed on December 25 and 26 and January 1. Drop by the Union Station Tourist Information Centre for information on things to do in Toronto to help you plan your holiday. Open seven days a week in the west wing of Union Station just before the Skywalk. More information is available at www.toronto.ca/infotogo. There is no collection service on Christmas Day or New Year's Day for garbage, recycling, organics, electronics or bulky items. All household hazardous waste and computer drop-off depots as well as container pickup locations will be closed on Christmas Day, Boxing Day and New Year's Day. While Drop-off Depots are closed on Christmas and New Year's Day, they re-open for business on Boxing Day, December 26. Check your collection calendar for residential schedule changes or see the detailed chart posted on the City's website athttp://www.toronto.ca/recycle.